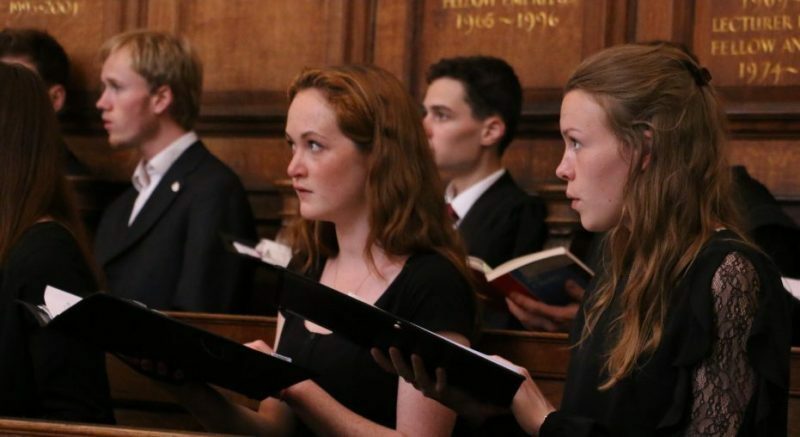 Somerville College choir is highly regarded within the University, and each year, scholarships are awarded to talented singers and organists to join the musical set-up in the college. Somerville offers around five Choral Scholarships each year to applicants wishing to read any subject at Somerville, and for voice types: sopranos, altos, contraltos, tenors, and basses. The Choir performs each Sunday evening during term time, and has a rehearsal on Thursday evening. There are frequent other performances, both in College and abroad. Choral Scholars are expected to be leaders of the choir, both musically and socially, and in return receive generous funding for singing lessons, frequent solo opportunities, and regular free meals. Organ Scholars at Somerville are provided with generous funding for organ and conducting lessons, and are guaranteed rooms in College for the duration of their course. Whilst the primary function of the Organ Scholar is to play the organ and accompany the choir in rehearsals and performances, there are opportunities to sing with the choir, direct the choir, and encounter orchestral conducting. All depends on the priorities of each Organ Scholar. For more information on applying for a Choral or Organ Scholarship, please visit the following part of the University admissions website. If you are interested in applying for a Choral or Organ Scholarship at Somerville, please contact the College’s Director of Chapel Music, Will Dawes, who is very happy to meet with interested parties at any convenient time.